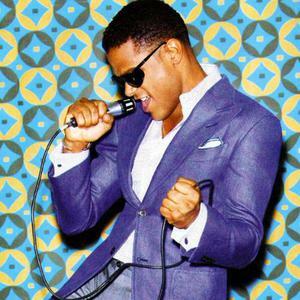 Maxwell (born in Brooklyn, New York on May 23, 1973) is a Grammy Award Winning American R&B artist. He was enormously important in defining and shaping the soul sub-genre, neo-soul, over the latter half of the '90s. He recorded some of the most ambitious R&B of his time, becoming wildly popular and often earning critical raves in the process. What was more, his recurring theme of romantic monogamy set him apart from the vast majority of his bump'n'grind lover-man contemporaries. Maxwell capitalized on his breakthrough with the MTV Unplugged EP, taken from his live MTV performance. It attracted attention and acclaim outside the R&B community with the left-field cover choices "This Woman's Work" (by Kate Bush) and "Closer" (by Nine Inch Nails). Additionally, the 'MTV Unplugged' version of "Whenever, Wherever, Whatever" earned him another Grammy nomination (for Best Male Pop Vocal). Anticipation for his second full-length album was high, and when Embrya was released in 1998, it entered the charts at number three. Reviews were more mixed this time around, with some critics charging that Maxwell's ambition had crossed the line into indulgence; still, the record duplicated its predecessor's platinum sales. Maxwell adopted his middle name as his stage moniker, keeping his real identity a closely guarded secret out of concern for his family's privacy. Born of Puerto Rican and black Caribbean stock, Maxwell suffered the loss of his father (in a plane crash) when he was just three years old. The experience made him a deeply religious child, and he first began singing in his Baptist church. Still, he didn't really get serious about music until age 17, when he began writing his own songs using a cheap Casio keyboard given to him by a friend. Initially influenced by early-'80s urban R&B, and drawing his greatest inspiration from the concept of the R&B auteur (looking to artists like Marvin Gaye, Prince, Stevie Wonder). He progressed rapidly, and by 1991 he was performing on the New York club scene, despite ridicule from classmates who couldn't imagine the shy, awkward teenager doing anything of the sort. After making a name for himself, he signed a recording contract with Columbia in 1994. In 1999, Maxwell scored his biggest hit to date with the single "Fortunate," an R. Kelly composition he recorded for the soundtrack of the film Life; it was a mammoth success, ranking as the number one R&B hit of the year in Billboard magazine. Later that year, he also cut two songs for the soundtrack of The Best Man. ... He eventually got a record deal with Columbia Records in 1994 when he was 21 years old. His loss of his father at the age of three had a great impact on him as a person and as an artist. Maxwell played keyboard in church during his youth; however, he was not aware of his vocal talent during adolescence. His vocal ability was later discovered during a romantic affair which inspired the music for his first music release "Urban Hang Suite." Maxwell was heavily inspired by the work of artists such as Marvin Gaye, Prince, Sade, and lastly Anita Baker who he gives credit to "teaching him how to sing." The name "Maxwell" also appears to be used by a hip hop beat producer from Oldenburg, Germany.